Hey everyone! We are full speed ahead on celebrating National Quilting Month this week. Today, I have something fun for our quilting community. Learning more about your craft can be challenging and intimidating, but with resources like YouTube, blogs, and podcasts we can learn more from other's techniques and experiences. Taking it back old school before videos were the fore front of media, there was a small but impactful form of media called print media. 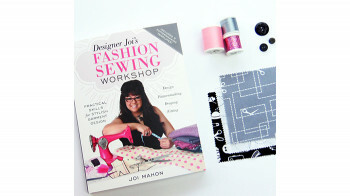 Print media includes newspapers, magazines, and books and one of great aspects of sewing is that there are tons of print resources for sewers of all skill levels. Today, I'm highlighting some great quilty reads that you may or may not have in your sewing library. Quilting legend and the Queen of Strip Quilting, Eleanor Burns is no stranger to print media. This book was self-published in 1978. Since then she has been sharing her quilting knowledge with quilters of all skill levels with over 150 books and patterns and the TV Show Quilt in a Day. Add this book to your collection to learn how to create a log cabin quilt with easy to follow step-by-step instructions and illustrations. The 20th Anniversary edition includes new layouts, finishing techniques, and photos. Check it out here. Pat Sloan is known as "The Voice of Quilting" and has been published in over 30 quilting titles and major quilting magazines. As an author, pattern designer and host of American Patchwork & quilting podcast radio, she shares her love and knowledge of quilting through a variety of channels. In her most recent book, Pat Sloan's Teach Me to Machine Quilt: Learn the Basics of Walking Foot and Free-Motion Quilting, she provides details on walking foot and free-motion quilting techniques so any quilter can confidently stitch up their next masterpiece. This is the third installment of her beginner-friendly "Teach Me" book series. Learn more about this book here. Owner of Diary of a Quilter and pattern designer, Amy Smart began sewing and quilting at a young age. It wasn't until later in life where she began sharing her passion with others when she was able to connect with others online who shared the same passion for quilting. In her first book Fabulously Fast Quilts, Amy shares tips and tricks to creating complex-looking quilts. With her techniques, you can create these quilts in no time at all. 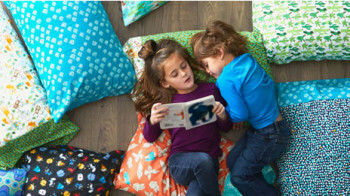 This book also includes 12 versatile designs that can be created with a variety of fabrics. Grab your copy here. Owner of Amy's Creative Side, pattern designer, and author; Amy Ellis loves to sew! She taught herself how to quilt and has been writing books and patterns to inspire others in their quilting journey. In her most recent book, Modern Heritage Quilts: New Classics for Every Generation, she transforms traditional piecing skills with a scrappy twist and rethinks traditional blocks to create new modern classics. Plus, get additional tips and tricks from Amy and other designers to learn more about scrap quilting. See what else this book has to offer here. Educators and bloggers, Liz and Elizabeth Evans share more than a last name. They share a passion for teaching others to sew. Since the start of their blog, Simple Simon and Company, they have written for different magazines including Quilty and Sew News, and have designed fabric for Riley Blake Designs. In their book, The Simple Simon Guide to Patchwork Quilting, they give classic patchwork a modern makeover. This book was made for beginners, but quilters of all skill levels would enjoy learning more about their beloved craft. The sisters-in-law include tutorials and tips on all you would need to know so you can start and finish the quilts. Learn more about this inspiring read here. Host of the popular PBS television series and tv's longest airing sewing and quilting program, Sewing with Nancy, Nancy Zieman has expertise on all things sewing. Whether its sewing garments, embroidery projects, or quilts, she is a definite go-to for learning. She's also a designer for The McCall Pattern Company and Clover Needlecraft. Not only does she share her knowledge online and through her television series, but she has written tons of books. One of her most popular books, Quilt with Confidence is a must read. This book was written for the beginner quilter in mind however, it provides a firm foundation in quilting fundamentals including techniques, tools, and supplies. Helpful hints fill all 144 pages which makes it a staple among quilting books. See what else this empowering read offers here. Other recommended reads: Quick Column Quilts: Make 12+ Bold and Beautiful Designs in Half the Time (2014), Nancy Zieman's Sewing A to Z: Your Source for Sewing and Quilting Tips and (2011), & 10-20-30 Minutes to Quilt (2000). 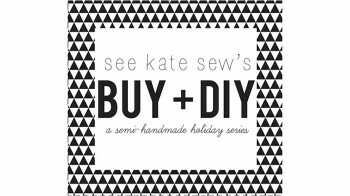 Editor, writer and owner of Lindsay Sews and Craft Buds, Lindsay Conner loves to sew, quilt, craft, and write. Her crafting background began well into her childhood and has grown into a passion. In her book, Modern Bee: 13 Quilts to Make with Friends, she shares 13 quilty creations to make with friends. Who wouldn't enjoy sharing sharing a quilting journey with their closest friends? This book contains patterns inspired by traditional quilt blocks but include "pieces of daily life." With sewing techniques ranging from beginner to expert, Modern Bee provides an opportunity to build your quilting knowledge. Check it out here. Who doesn't love bonus content? Since print media includes more than books, I wanted include some quilting magazines as well. Be sure to check out Fons & Porter's Love of Quilting Magazine for loads of quilting information. This magazine is published six times a year and is America's favorite quilting magazine. 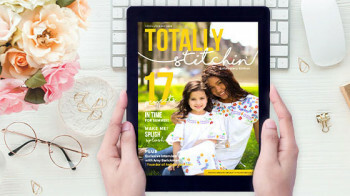 Each issue is jammed pack with quilts, tools, techniques, and fun that will inspire any quilter. Another quilting magazine I recommend is American Patchwork and Quilting Magazine. This magazine is perfect for all skill levels. It even includes expert advice from popular quilters and the materials to make your quilting journey great. I hope you found at least one quilty read to add to your collection. There are tons of other great resources that can help a quilter learn more about their beloved craft. See you next week for more fun to celebrate National Quilting Month!